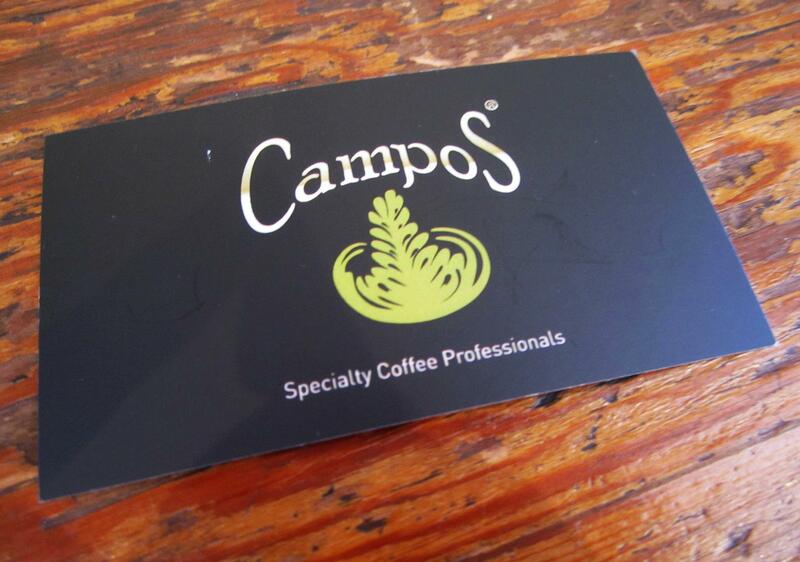 Campos Coffee is probably the best coffee we’ve ever had. The cafe definitely meets the hype that we’ve been hearing so often from people who have been. Unfortunately that didn’t happen for a while until we decided to go Newtown to check out Black Star Pastry. Though I’m sure just from the photo above you can tell it was one real good coffee prepared by great baristas. Miss K has this habit of ordering the exact same coffee no matter where she is, unfortunately for her she got a glass and I got a cup/mug which made her jealous. 😀 She definitely enjoyed the coffee and mentioned that hers was very foamy and creamy which is how she loves it. 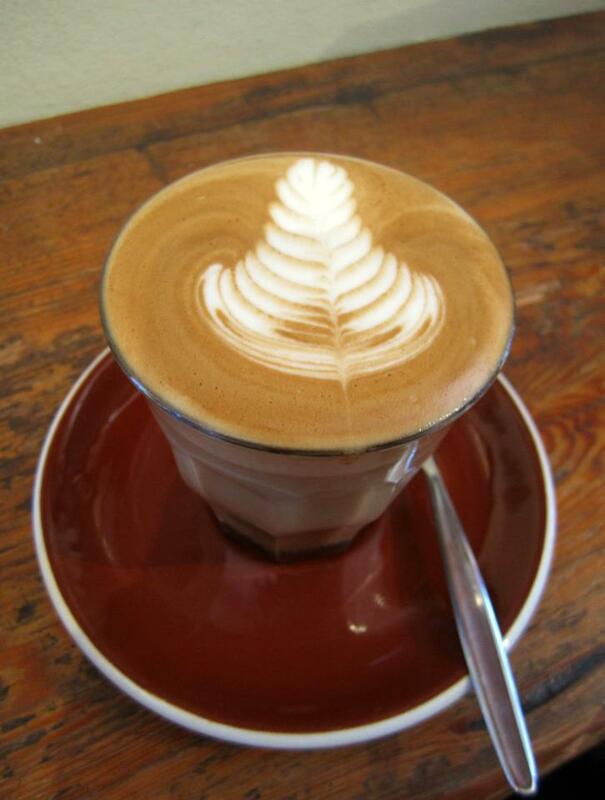 I usually order a different coffee everyday just to have some variety (My favourite is a Flat White though). 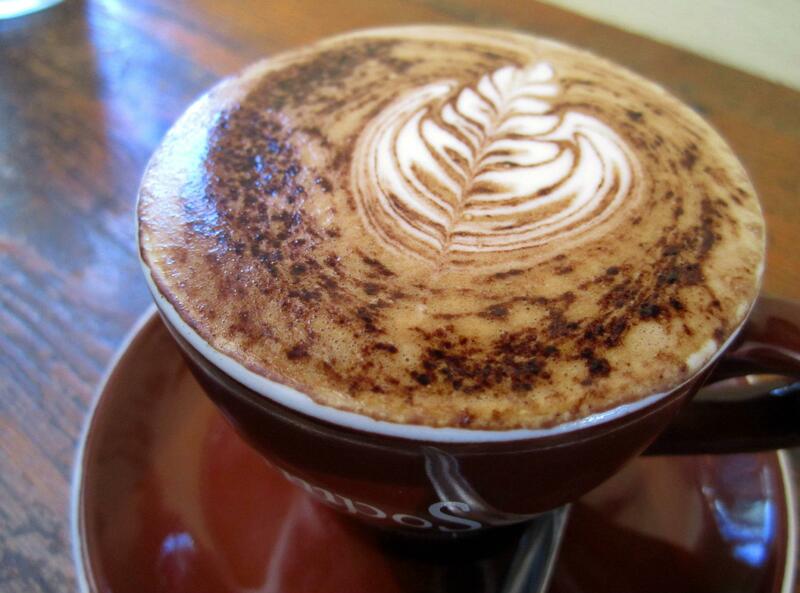 This time around I chose the ever so popular Cappucino and ended up with a very well presented cup of coffee. 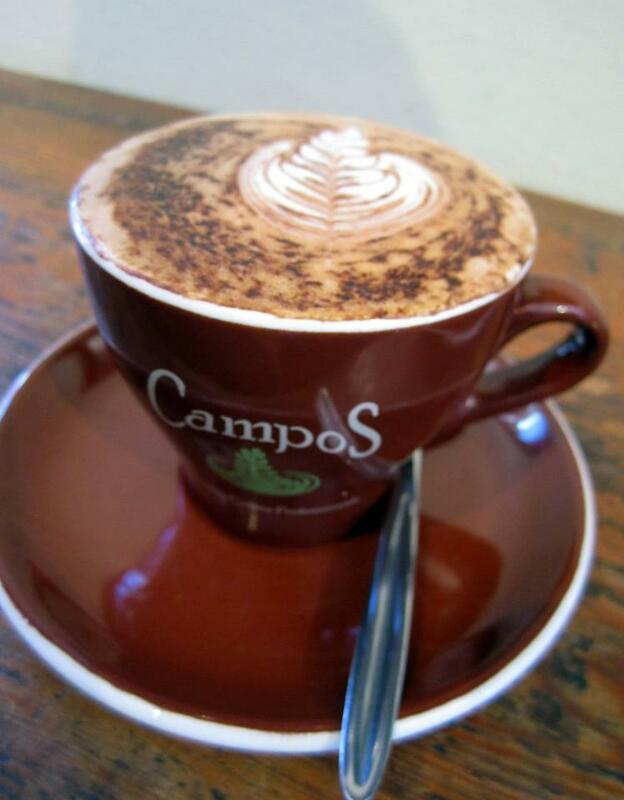 If you love coffee be sure to check Campos coffee out, the beans taste perfect without too much a hint of bitterness and the baristas prepare the coffee with great presentation and creamy milk froth, worth the $3.6 and the long walk I say. Overhyped, IMO. My favorite (I’m a Newtown local) is Newscaf, which is by Dendy. It’s the one with the red menu out front. Order a flat white with hazelnut!